The following broad interview with Dr. Manahel Thabet discusses the following: geographic, cultural, and linguistic background; developing as a gifted child and early identification by her parents; original dreams of entering space; earning her first Ph.D. in Financial engineering (age 25) and second in Quantum mathematics (age 31); work at WIQF, Smart Tips Consultants, and WIN; non-verbal intelligence tests; myths of the gifted population; emotional struggles as a woman in leadership; distinctions and awards; position as patron of the Women’s Leadership program MBA at Synergy University; thoughts on the past of and projections for quantum physics; concerns for the gifted community; responsibilities of the gifted population; thoughts of the near and far future for the gifted population; influences and inspirations; and things giving hope and the complicity of the structure of the universe. Key Words: Dr. Manahel Thabet, financial engineering, gifted, leadership, MBA, non-verbal intelligence tests, quantum mathematics, responsibilities, Synergy University, WIN, WIQF, women. In fact, I lived in many different countries and diverse cultures. I believe this diversity of location, and moving from one place to another, had enriched my knowledge in many areas and shaped my personality in a deep way. 2. How did you find developing from childhood through adolescence into young adulthood with giftedness? Did you know from an early age? What events provided others, and you, awareness of your high-level of ability? My family noticed something. I did not start speaking like normal kids. They were worried about that and took me to a speech therapist who advised them to run an IQ test for me. As early as 7 years old, my family knew, I was different. They embraced this fact. They did their best to cope and enable me to utilise my giftedness. 3. You had an original dream to enter space. What happened to that dream? How did you cope? As a kid who had many dreams like any other kid in the world, I was so fascinated by space and the universe. My dream was to be an astronaut. Of course, I did not know it is very difficult to be one – lol. I grew up with the love of this field. Ever since I can remember, it has been my passion. I embraced this passion. Throughout the years, I improved the passion through studying, research, development, and hobbies. For one hobby, I enjoy stargazing the most. I am an amateur astronomer. Also, I am a member of Dubai Astronomy Group and in some days you will see me tracking stars from one place to another. 4. You earned a first Ph.D. in Financial Engineering, at the age of 25, and a second in Quantum Mathematics, at the age of 31. Why did you pursue these areas of education? How are your productions changing their respective fields? This is an interesting question! The common thing between the two fields are numbers. Yes, I am fascinated by numbers. I feel that everything in our lives is calculated in a way or another. Formulas exist in every aspect of our lives, even in love and relations. 5. You have earned the title ‘Queen of Bourse’. What does this mean? How did this originate? I was at the stock market once, and a reporter saw my performance, which was at that time very high. She asked me, “Where are you from?” I said, “From Yemen.” She didn’t know where Yemen is, then I told her I am from the land of ‘Queen of Sheeba’. At that point, she wrote from ‘Queen of Sheeba’ to ‘Queen of Bourse’. Since that time, people took it as a title. 6. You are President of WIQF, President of Smart Tips Consultants, and Vice-President of the World Intelligence Network. What is the function of these organizations? What other major organizations devoted to similar causes can you recommend for resources and support? WIQF and WIN are think tanks for the high IQ world. Through the operations of these organization, we are trying to gather high IQ individuals in one platform to discuss ideas and exchange knowledge. As well, we do IQ testing through our connections with accredited sources, ability testing, and personality assessments. For Smart Tips, it’s a consultancy firm. I founded the firm in 2005. We do financial engineering, consultancy, internal auditing, and feasibility studies. 7. In terms of universalizing the testing of intelligence, non-verbal tests appear to have much promise, especially for the high-range. What do you see in the future for high-range non-verbal tests? How will this change general intelligence testing and the identification of gifted individuals? Nonverbal tests have been considered pure measures of general intelligence and are excellent indicators of abstract reasoning, particularly in the visual-spatial domain. These instruments have negligible ethnic biases, and I support their use in identifying gifted children from culturally diverse groups. However, they do not measure as wide a range of abilities as IQ tests and would not be as predictive of success in a gifted program. 8. Of the gifted population, there exist many myths. What do you consider the greatest of these? What truths dispel them? One of the things people should notice is the high level of extremely intelligent people in autistic children. If not discovered, it is a serious waste of human capacity to do wonders. 9. As a woman in leadership and achieving records for many endeavors, what struggles and emotional difficulties have you endured to attain such accomplishments? Ahhh, living in the Middle East where a male-dominated society still rules is a big challenge. I cannot deny that it is changing, but a woman needs to make double the effort to get less than half of the recognition and support. My journey was a bit bumpy. It took a lot of emotional strength to keep going, but sometimes I would feel drained. However, I will not allow this to drag me down. I am blessed with a caring family and supportive friends. 10. You are the patron for the MBA – Women’s Leadership Program – at Synergy University. What does this program encompass? What does such a program mean to you? This MBA programme is the first in the Middle East in Women’s Leadership. I was so proud to be selected as the patron of this programme. It means a lot to me to see prospective women leaders coming soon. I have always been a supporter of female education and empowerment of women. 11. You earned multiple awards and recognition including the Excellence of Global International Environmental and Humanitarian Award, L’Officiel Inspirational Woman of the Year Award, Genius of the Year Award for 2013 (Representative of Asia), and Excellence of Global International Environmental and Humanitarian Award. What do these and other awards mean to you? What responsibilities and duties do these imply to you? Being recognised and being honored with these awards puts you in a position of big responsibility. Once you are put in this position, you are a role model for many. Therefore, ethically, you should be fit to inspire those who look up to you. Whenever I take an award, I do not call it an award. I call it a reward for many days and years of hard work, and then continue attention to what I do best. 12. How has the world of quantum physics changed over the past decade? What do you anticipate to be the next big steps? Einstein’s sentiments still reverberate today, more than a century after humanity’s first insights into the quantum world; quantum mechanics makes perfect sense mathematically, but defies our intuition at every turn. So it might surprise you that, despite its strangeness, quantum mechanics has led to some revolutionary inventions over the past century and promises to lead to many more in the years to come. I believe that quantum aspect will be involved in every aspect in our lives. Starting from the theoretical basis which is the teaching of new quantum methods up to using it in quantitative methods in economy up to using it to find cures for diseases using quantitative measurements and cellular techniques. 13. You share a concern of mine. In particular, the sincere desire to assist the gifted population in flourishing, especially the young. Now, many organizations provide for the needs of the moderately gifted ability sectors of the general population, most often adults and sometimes children. However, few provide for the needs of children (and adults) in the high, profound, exceptional, or ‘unmeasurable’ ability sectors of the general population. Some organizations and societies provide forums, retreats, journals, intelligence tests, literature, or outlets for the highest ability sub-populations. What can individuals, organizations, and societies do to provide for the gifted population? What argument most convinces you of the need to provide for this sector of society? Caring about gifted individuals is not something to easily say, it is an action to make. It cannot be highlighted by individuals only, government attention is needed too. Caring about gifted individuals includes education, systems, and qualified individuals to explore gifted abilities in kids, utilities and so on. 14. In turn, what responsibilities do the gifted population have towards society and culture? Why do you think this? See, gifted individuals are as normal as other people. They share the same duties and responsibilities towards society. Responsibilities towards society and culture are something ethical. It does not differentiate between gifted or non-gifted. 15. Where do you see the future of the gifted population in relation to society? What about the near and far future of the gifted population in general? We are heading towards a knowledge-based era. We are transforming our dependency from usable technology to wearable technology, and soon consumable technology. Minds will be the true asset for any nation. The technological revolution we are heading to embrace just like the production revolution will need special leaders and those leaders will have to be somehow gifted or talented in the technological arena. 16. What projects do you have in the coming years? 17. Who most influenced you? Who inspires you? Strangely enough, I can get inspired by anyone or anything. From a writer, inventor, poet, singer actor, animal, or even a view. Inspiration is not limited if you can embrace it. And I always believe that “if the universe exists the sky is not the limit”. 18. Finally, you have tweeted, “The Universe has many hilarious aspects. So I should not get credit for a sense of humor if all I do is point this out.” What gives you hope, humor, and a sense of wonder? What gives me hope is when I see those who are deprived from everything smiling. And what keeps me wondering all the time is the structure of our amazing universe and the complicity behind its creation. 2) Thabet, M. (2012, February 26). Structure Variation Hyper Arithmetical Sort Operators and Applications. SSRN. Retrieved from http://papers.ssrn.com/sol3/papers.cfm?abstract_id=2193860. 3) Thabet, M. (2012, March 17). Quantum Mathematics Findings. SSRN. Retrieved from http://papers.ssrn.com/sol3/papers.cfm?abstract_id=2234594. 4) Al-Sakkaf, N. (2013, February 28). Yemen in One Week. Yemen Times. Retrieved from http://www.yementimes.com/en/1655/viewpoint/2068/Yemen-in-one-week.htm. 5) Asger, M. (2012, May 17). Dubai woman’s space formula takes world by storm. Gulf News. Retrieved from http://gulfnews.com/news/gulf/uae/general/dubai-woman-s-space-formula-takes-world-by-storm-1.1024095. 6) Khamis, J. (2013, January 15). Dubai resident brings arab genius into the equation. Gulf news. Retrieved from http://gulfnews.com/news/gulf/uae/society/dubai-resident-brings-arab-genius-into-equation-1.1137564. 7) Shoush, M.E. (2012, July 11). Bringing talent to the fore: support and guidance for the gifted population. The National. Retrieved from http://www.thenational.ae/lifestyle/family/bringing-talent-to-the-fore-support-and-guidance-for-gifted-children. 8) Synergy University (2014, February 20). MBA – Women’s Leadership Inaugration. Synergy University. Retrieved from http://t.co/6GeLfkOONp. 9) The World Genius Directory (2013). 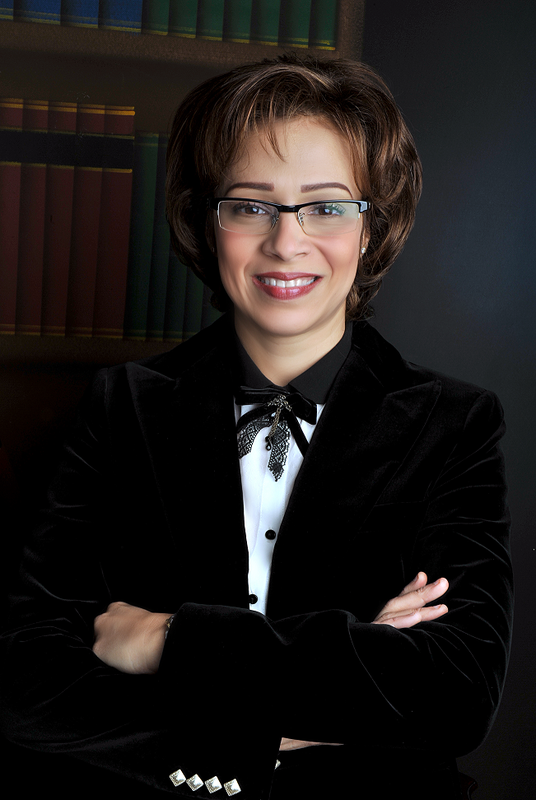 Dr Manahel Thabet, World Genius Directory: 2013 Genius of the Year – Asia. Retrieved from http://www.psiq.org/world_genius_directory_awards/goty2013manahelthabet.pdf.